"High performance is about managing emotions so that people can perform at their best under pressure." 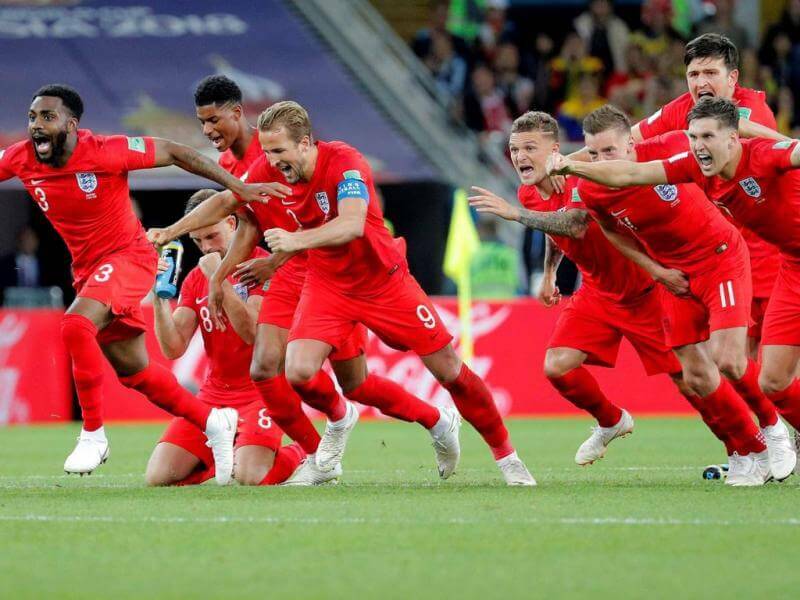 On July 3rd 2018, England played Columbia for a spot in the quarter finals of the World Cup. It was a close match-up, with Harry Kane’s penalty squeezing England into the lead during the second half of normal time. But just as England thought they had edged it, Columbia’s towering centre back nodded in from a corner, sending the South American’s into a state of Euphoria. The tide had turned. The first half of extra time was a case of ‘backs against the wall’ for the young England team. Columbia mounted attack after attack, but the England defense stood strong, managing to stem the tide. The game went to penalties, and for England teams of the past, this would have been their worst nightmare. Previous experiences of failed penalty shoot-outs would have crept into their minds - the fear of failure would have been overpowering. However, this was not the case for the current crop. During the lead up to the game, reporters discussed how England had been working tirelessly with coaches and psychologists on the process of taking penalties, as well as developing routines to sustain focus on the present moment. Clearly the preparation paid off, as England struck 4 great penalties and made it through. But underpinning all of the work on processes, technique and routines was their ability to manage their emotions during those highly pressurized moments. In other words, the England players’ Emotional Intelligence (EQ) enabled them to think clearly and execute their penalties as they had practiced in training. The performance improvements associated with systematically training and enhancing athletes’ emotional intelligence are extensive. Within pressurised performance environments, emotions run high and those that are equipped to recognize, understand and regulate them, ultimately are best placed to perform optimally when under pressure. Athletes who have well-developed levels of emotional intelligence are more confident, resilient, focused, and are able to work more productively within team environments. Our primary senses enter at the base of the brain and messages from there must travel to the front region of the brain before we can think rationally about our experience. However, before they enter the rational part of our brain, some signals travel through a series of structures referred to as the limbic system. This is the place where emotions are most acutely experienced. Emotional intelligence requires effective communication between the rational and emotional processing areas of the brain, and a ‘broadband connection’ between and across these areas is critical for developing high emotional intelligence. Our ability to understand and reflect on our emotions helps us to use this information to arrive at accurate judgments and take positive, constructive action. So if you consider how the brain influences our behaviour, it explains the importance of enhancing emotional intelligence to improve athlete performance. The process goes like this. Our thoughts lead to emotions, our emotions lead to behaviour and our behaviour leads to outcomes. The advances in neuroscience have informed us that our brains are wired to have considerably more negative thoughts than positive. Naturally, the result of this is a larger amount of negative emotions, which in turn, negatively impacts our behaviour. Unless of course we are being chased by a grizzly bear! In this situation, our survival instincts kick-in and the immediate fear of the situation activates the brain’s stress response, also referred to as the fight-or-flight response. During this process, the sympathetic nervous system releases a powerful dose of cortisol and adrenaline into our body, leading to a sudden change in our physiological state. Our heart rate increases and our breathing quickens. This near-instantaneous sequence of hormonal changes and physiological responses helps us fight the threat off or flee to safety. Unfortunately, the body can also overreact to stressors that are not life-threatening, and for elite athletes, this can often be the pressures associated with competition. Albeit less extreme, the brain processes stressful situations in the same way. Developing EQ has the power to regulate athletes’ emotional responses to pressurised situations, so that they can maintain focus and perform optimally. If you found the content in this article interesting and would like to hear how we implement emotional intelligence training with athletes and coaches, then please feel free to drop me a message at joe@rochemartin.com and we can arrange to chat.